A well-planned deck design is an affordable way to expand your living space for relaxation and entertaining purposes. Outback Deck Inc. will work with you to design and build a deck that fits your exact needs. We can install a ground-level, raised, or multi-level deck that compliments your landscaping and the style of your home. We offer a wide range of materials to choose from, including wood, vinyl, and low-maintenance composite decking. Call us at 844 326 5713 or click below to request your design consultation and get a free cost quote for deck construction in Alpharetta, Roswell, Marietta and surrounding Georgia areas. What Type Of Deck Design Is Right For Your Home? 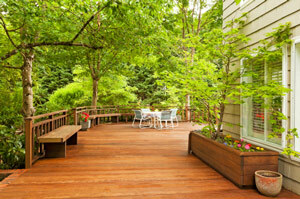 Synthetic decks have more consistency and are smoother than traditional wood decks. 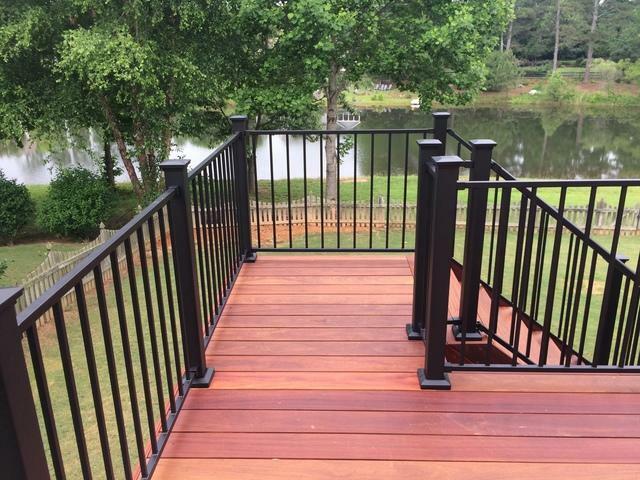 Synthetic and composite decking and railing materials offer many benefits to Georgia consumers. With the rain, humidity, heat, sunlight, and pollen we experience, a synthetic or composite deck or rail provide a beautiful look and low maintenance. While costs associated with synthetic and composite decks and railings may be higher, the lower maintenance, ease of cleaning, and consistent beauty will offset the initial investment over time. The latest synthetic and composite decking and railing materials offer many colors and styles including several that mimic hardwood products from around the globe. Today, they come in colors and patterns that emulate Brazilian hardwoods and Ipe. There is nothing like a classic wood deck! Whether you select pressure treated, cedar, or hardwood, a new wood deck will provide you with many years of enjoyment in the outdoors. However, not every wood deck is built the same. Outback Deck Inc. builds their decks using The OutBack Way® (a proprietary installation process which ensures safety). The latest fasteners, connectors, and structurally safe building techniques will be used to provide you with a long-lasting wood deck. Our options for superior grades of lumber, upgraded balusters (aluminum or wrought iron), premium stains, and paints as well as pergolas and privacy screens will enhance your wood deck, giving you an outdoor lifestyle space that is second to none in your neighborhood. Pressure Treated: Outback Deck Inc. uses the highest quality pressure treated wood. Depending on your budget, we offer radius-milled, stress relief milled, Florida-style relief grooved, and kiln dried after treatment decking. Hardwood: We use Ipe or Brazilian Walnut Hardwood and Abaco for hardwood decking materials, all of which are long-lasting, exotic materials that provide a high-quality finish. A member of The Fortress Company, an innovative family of building product providers, Fortress Deck provides stylish and low-maintenance decking products. Their alternative decking products are protected by capping technology and every board is mold and moisture resistant. Fortress Deck's composite decks are built to last through any weather while maintaining their beautiful appearance. 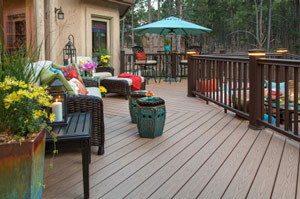 Since 1997, Fiberon has been providing families with deck and railing composite products. 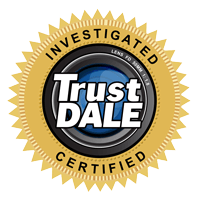 Not only are our products beautiful and high quality, but they are also backed by a 25 year stain and fade warranty. Manufactured in the US, products are shipped and sold all across North America and more than 30 other countries. Create an extraordinary outdoor living setting for any style and budget! Fiberon® decking provides peak quality, environmentally friendly decking options in a wide variety of styles, colors and finishes to compliment your tastes while maintaining affordability. Fiberon® delivers the opulence of natural hardwood without the cost and labor of maintenance. Balanced, beautiful and natural looking. Provides warmth with a rich earth-toned palette. Adds dimension with varied grain patterns. Capped on all four sides to promote longevity. Durability has been enhanced with Permatech®. Durable, stain and fade resistant with a polished finish. Never needs to be sanded, stained or sealed. Bold, exotic colors and finishes. Prefinished on three sides with a protective coating. Deeper graining provides a more defined wood texture. Size and shape: We offer deck framing to fit any design you have in mind. There may not be any walls, but your deck may need to accommodate a cooking area, a dining area, a spa area, and a lounging area. Railing styles: Deck railings are often the first thing you notice about a deck! Let us help you chose a type that suits your home and landscape - and that ensures the safety of your family and friends. Get A Free Deck Building Cost Quote Today! If you can dream it, Outback Deck Inc. can build it! If you're considering adding a deck to your home, give us a call or fill out our contact form to get started with your free estimate. 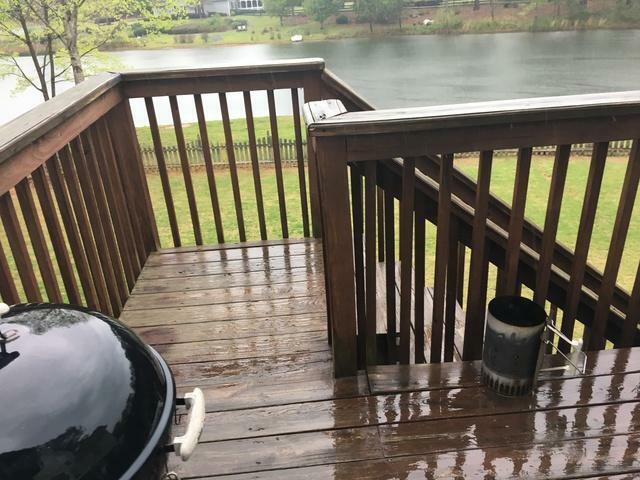 We offer all our decking services in Alpharetta, Roswell, Marietta, Acworth, Kennesaw, Smyrna, Canton, Atlanta and throughout the surrounding areas.